"This September social media users are being encouraged to set aside some of their favourite platforms for ‘Scroll Free September’. Those behind the campaign hope it will help improve people's mental health and wellbeing. I don’t think this is a bad idea, but (as seems to be my style), I take a slightly different view. It is important to remember that social media is a tool that can be used or misused. We can use a pickaxe to help dig a canal or to assault our neighbour; it’s how we use these tools that matters. 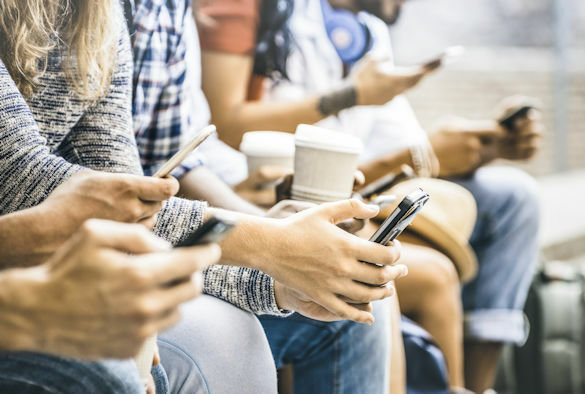 Social media connects us, keeps us in touch, keeps us together – good for ‘learning’, good for ‘relationships’; social media can even be part of our 5-a-day for wellbeing. Despite this it is very important for users to remember that social media platforms are 'echo chambers' using ‘confirmation bias’ and algorithms to show us only the evidence of what we already suspect. Social media, relying as they do on the internet, are also largely unregulated spaces – even to the extent of seeing warnings of a ‘fake news epidemic’. So what can we do to have a more positive relationship with the medium and also, in the process, improve our own mental health? I would suggest regulation is needed. Not a ban or a boycott but the kinds of ‘free speech’ regulation that we would like to see in the majority of mainstream media, limiting (I would hope) the purveyors of hate speech. And, similarly, regulation of our OWN behaviour. That doesn’t mean bans for others, or even months of abstemious behaviour for ourselves, but rather a cool decision to limit some of the excesses of our own behaviour and the extravagances of the commercial media. • Don’t your mobile phone when doing other things (like working – I know a psychiatrist who sends hundreds of tweets a day while supposedly running a clinic... what DO his patients think (they can see it all, of course)? And finally, Oh, ‘Don’t feed the trolls! '.